Comcast Corp.’s executives have recently confirmed a King Kong attraction is set to land at Universal’s Island of Adventure. Universal is moving forward with their plans to construct a new King Kong ride, a new resort and a long-rumored water park at Orlando. The company is currently building the new 1,000-room Loews Sapphire Falls Resort, which is scheduled to open in 2016 and there are also permits filed for the water park. Rumors about a new King Kong ride in one of the parks had been spread by theme park fans for months until last year Universal Orlando filed a permit application with the city of Orlando for a demolition project and they started to clear the space. Now constructions are going up between the Toon Lagoon and Jurassic Park River Adventure. 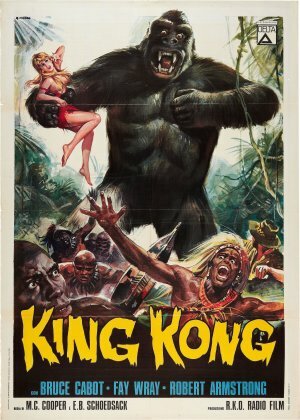 The previous ride, Kongfrontation that was based on the 1976 remake of “King Kong”, opened at Universal Studios on June 7, 1990. Twelve years later, the attraction was closed to make way for the Revenge of the Mummy roller coaster which opened in 2004. Insiders says, more than $65 million will be spent by Universal to build the new attraction and the ride is expected to be something unique, never seen before and it most likely will be a mixture of cutting-edge technology, as hinted Dennis Speigel, president of International Theme Park Services. However, Universal has shared no further details of the attraction such as technology or opening date. A new movie for the giant ape is currently in pre-production and it is planned to be released in 2017. This leaves us speculating about the new ride until specifics will probably come out of Universal Orlando.